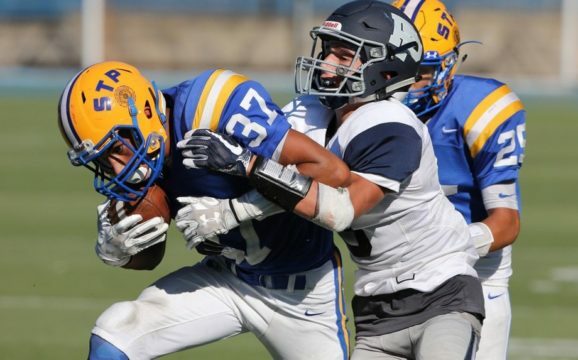 St. Peter’s offers a variety of athletic programs for our students. Whether they are on the court, in the pool or teeing off in hopes of a hole-in-one, every one of our students is given the chance to grow as a young man and athlete. We believe that through sports, our students will learn the importance of teamwork, discipline and perseverance — all of which will help mold them into respected and well-rounded individuals. Coach Glennerster is a former St. Joseph by-the-Sea player who had an outstanding career at the College of Staten Island. He is starting his first season with St. Peter’s, replacing John Eberlein, who coached the Eagles the last 12 seasons. Glennerster comes to St. Peter’s after a 10-year coaching career at the collegiate level, including nine as an assistant. After being the associate head coach and recruiting coordinator at St. Joseph’s College (Brooklyn), he took the same positive for a season at New York University before becoming the head coach for the Violets in 2012. Head coach Charlie Driscoll is only the fourth varsity basketball coach at St. Peter’s over the past 60 years. In his 17 years as head varsity coach, Driscoll has helped lead St. Peter’s to 277 varsity wins, eight SIHSL tournament titles and 12 Staten Island CHSAA titles. 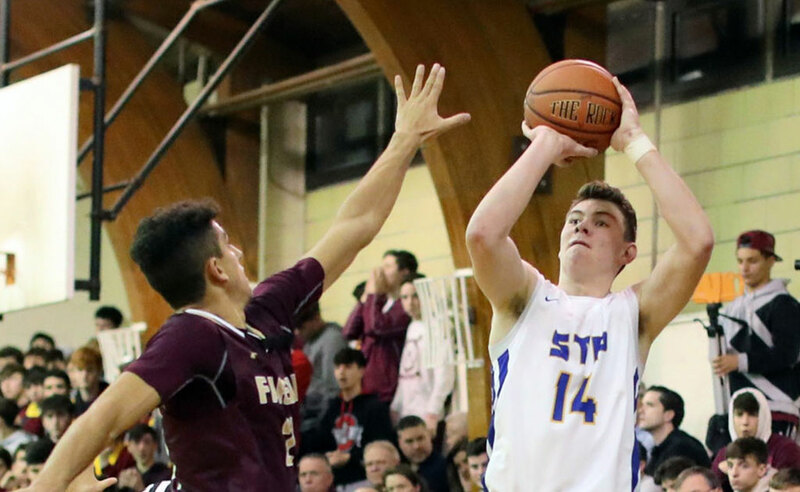 The St. Peter’s basketball program has a long and strong tradition of success both on Staten Island and in the NYC CHSAA. The program has produced 69 Staten Island Advanced All-Star players since 1966 and won 32 SIHSL Championships — the most in Staten Island. The bowling season begins November 27 and lasts until March 26. Tryouts for the team are October 25-26. There are three teams of four bowlers, and each bowler is rated on his individual score. In the 2016-2017 season, bowler Ken Sotto was named a Staten Island Advance All-Star. Returning members for the 2017-2018 season include: Daniel Convery, James Patino, Jon Lugero, Joe Macklin and James Langan. The St. Peter’s High School football program will prepare each young man to be the best person, student, and football player that he can be. As a member of the Eagle Football Program we will represent ourselves, our families, and the high school with dignity, integrity, and respect by always choosing to do the right thing. It is our number one priority to instill each individual that comes through our program with the characteristics to further succeed in life. One of our goals as a team is to be able to handle ourselves mentally and physically against any opponent we face. This goal can be accomplished but you have to be willing to put forth the effort. Students interested in joining JV Golf can come to meetings that are announced in the homeroom bulletin or stop by Room 402 to speak with Mr. Bonamo. Students are recommended to bring at least a putter, a driver, a wedge and an iron to the practice sessions. Head coach Vincent Giles has been coaching track since 1988. After starting his career as an assistant coach at Curtis High School and coaching at other schools throughout the area, including Port Richmond High School, Farrell High School and St. Peter’s Girls High School, Giles joined the St. Peter’s track team as the head coach in 2012. Giles has previous coached six High School National Champions, three USATF Junior Olympic Champions and 45 All-Americans. During his time as the head coach of St. Peter’s track team, he has led the team to two Staten Island Cross Country Championships. 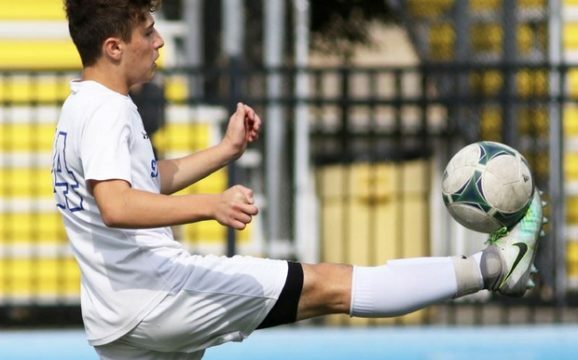 The St. Peter’s Varsity soccer team has established itself as one of the strongest programs on Staten Island and in the city. Many of the players have gone on to have successful college careers and received soccer scholarships at many Division I colleges, including head coach John Liantonio. The Eagles have been to six city semifinals, three finals and won the city in 2006. The Eagles continue their winning tradition under coach John Liantonio and co-head coach Christina Monzi, former advance All-Star at Notre Dame and Division I standout at West Virginia University. The JV soccer program has had many successful seasons under the direction of head coach Robert Libertelli, who is also vice president of the Staten Island Soccer League. The first coach was Mr. Blackstock and the first moderator was Mr. Castellano between 1988 and 1989. They were both teachers at the school. It started as a “club team” with practices at 6:00 a.m. twice a week. The team didn’t compete that year. Between 1989 and 1992, the head coach was Vin Reitano. He oversaw the first season where the team competed for the first time. The next head coach was Bill Loefelm, who was an English teacher at the school. He coached the team for two years. In 1996, Mr. Gibbons joined the staff at the school as a history teacher. He served as head coach for 19 years and stepped down in 2013. He was team moderator for two years after retiring. 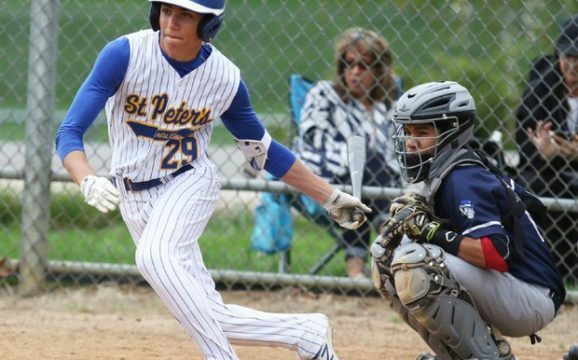 In 2013, St. Peter’s alumni Mr. Andrew Salzillo became head coach, and was followed by Mr. Conor Kelly, the current head coach and fellow St. Peter’s alumni. The St. Peter’s Varsity Boys Tennis team competes in the NYC CHSAA Tennis League. St. Peter’s is the only boy’s Catholic school that competed in the NYC CHSAA Tennis League for the 2017 season. Since joining the league four years ago, St. Peter’s has been a playoff team in three of those years. The 2017 roster was the largest for the team with 13 team members. The St. Peter’s Boys High School wrestling team looks to develop young student-athletes into young men that understand the values of our school and commitment to a goal. Showing respect and sportsmanship both on and off the mat, we look to instill the values of St. Peter’s into each student-athlete. Taking responsibility for choices and actions and understanding that each wrestler has a role on the team and no wrestler s better than their team. By committing to the team and personal goals, we believe that each student who steps on our mat only makes our team stronger. Win or lose, we learn from each other. We believe that we are more than a team, we are a family and we look to improve ourselves and each other to teach and train young men willing and able to enter the world as strong, independent individuals able to take on any obstacle in their way. This past year, several wrestlers placed in the top three of their weight class: 160lbs – 1st place, 160lbs – 3rd place.